Due By (Postmarked/Submitted): First Friday in May. The Renton Lions Scholarship was established to award to 2 students each year who has shown an interest and devotion to service in his or her community. This scholarship honors the effort of a student who exemplifies the motto of all Lions Clubs, We Serve. The scholarship is open to high school students who are 16 years of age or older, currently enrolled as a Junior or Senior in a high school in the Renton, WA School District, maintaining a minimum 2.5 GPA*, and who have demonstrated interest in community service above and beyond classroom requirements. Applicants may be of any nationality or ethnicity. 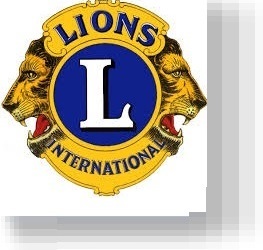 No membership or affiliation with the Renton Lions Club or Foundation, nor any Lions club, Leo chapters, etc. is required by the student to be eligible for this scholarship. Been recommended by his/her high school guidance counselor as a student capable of earning college credit through the Running Start Program. The completed application, with accompanying guidance counselor recommendation , must be submitted to the Renton Lions Foundation by the first Friday in May. You must have completed at least 10 hours of community service in the past 2 years. The more hours of service the better the chances of winning. The scholarship will be awarded for one academic year and will continue to be in effect for a period of two consecutive academic years (until all $500.00 is used), provided the student remains enrolled in a running start program and maintains a minimum cumulative GPA of 2.5. 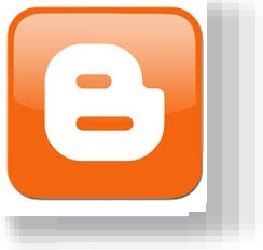 Scholarship Covers: The Scholarship covers $500.00 in tuition, fees and/or books during your time in running start. The funds are paid directly to the school by the Renton Lions Foundation, in the name of the student, upon verifiable proof of enrollment in running start. Due By (Postmarked/Submitted): First Friday in May or November. Who was Gayl Bertagni: The Gayl Bertagni Culinary Arts scholarship was established in 2009 to celebrate the life of Gayl Bertagni. As a working partner in the operation and management of the Swiss, Gayl’s food service became legendary. She wanted her food to be simple, nutritious and delightfully presented. Gayl participated in fundraisers, charity events and programs such as Empty Bowls, a group that helped Tacoma’s Homeless, Food Network, who provides meals for children and family in need and in addition operating a booth in Downtown Tacoma’s summer market on Thursdays assisted by her daughter. She also gave food preparation demonstrations and volunteered to teach classes. Gayl helped numerous people, young and old alike, in providing employment opportunities at the Swiss or other restaurants by her encouragement and the extensive networking she had established. Have a career goal of becoming a chef, pastry chef or some sort or job in the culinary field. Must be able to prove in writing or by proof of recent community service over the past 3 years. Must be accepted or attending either Renton Technical College, South Seattle Community College OR have graduated from a Renton WA High School and set to attend any colleges culinary arts program. US citizenship is not a requirement. The scholarship covers up to $1,000 in tuition, fees or books. This scholarship is renewable (if you apply) up to 4 years and still working toward a degree in culinary arts. Application Requirements and Deadline: The application deadline is the first Friday in May OR the first Friday in November. Recipient will be notified by the 4th week after the scholarship deadline. Application and other relevant scholarship forms must all be submitted at the same time. 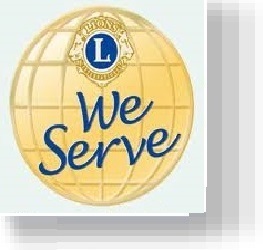 Application forms are available online through the Renton Lions Club web site (gaylbertagni.rentonlions.com). Application forms must be filled out in full. Scholarship Covers: The Scholarship covers $1,000 in tuition, fees or books the funds are paid directly to the school by the Renton Lions Foundation, in the name of the student, upon verifiable proof of enrollment in culinary arts program. The Scholarship does not cover: Travel, meals, housing or any living expenses the student may have. Scholarship money also cannot be used for insurance fees, medical coverage of any kind, souvenirs, tips or personal items. No funds are to be paid directly to the student. All funds will be paid directly to the school. Selection Procedure: Members of the Scholarship Committee, made up of active members of the Renton Lions Foundation, will be the sole judges in the awarding of the scholarship. The Scholarship Committee will choose from only those students that have applied for the scholarship and have met all requirements set forth. The selection committee will consider an applicant’s replies on the application form, their student activities, academic achievement, essays and culinary arts in awarding this scholarship. Should it be deemed necessary by the selection committee, a personal interview with all finalists may be conducted to determine who will be awarded the scholarship.